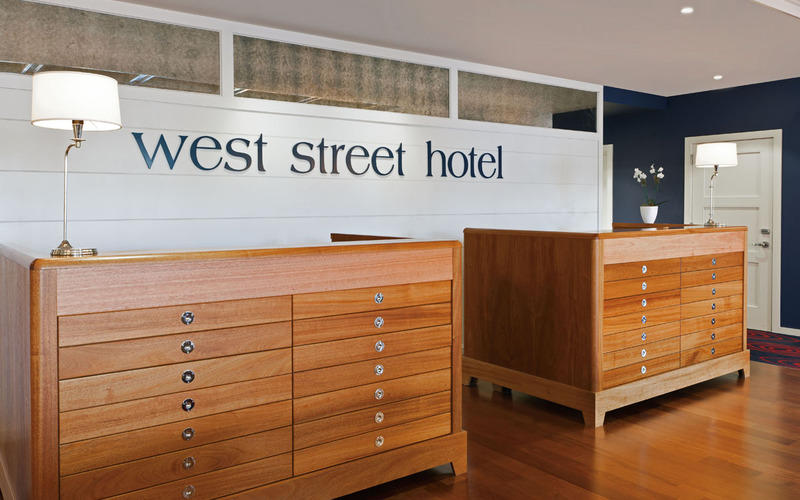 West Street Hotel is a seasonal upscale property that celebrates casual summer vacation in Maine.The interior of this seaside hotel is inspired by the rolling ocean, with a nod to the local aesthetic and the rich interiors of the great steamships of the past. 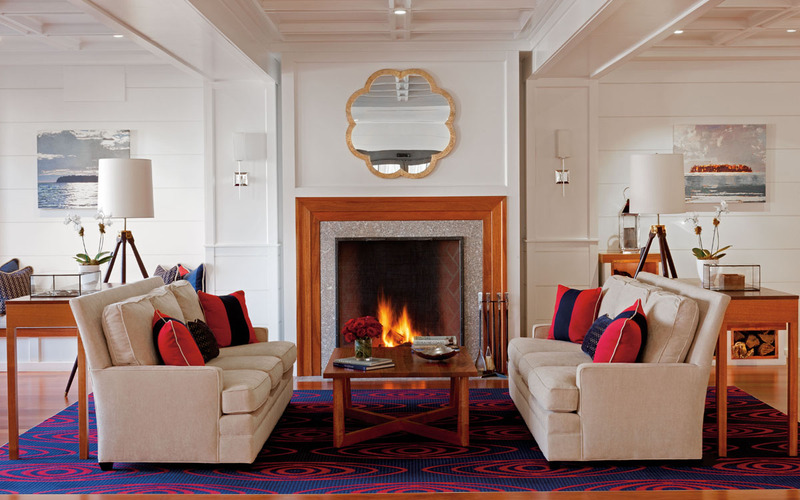 The design is a distillation of all that makes Bar Harbor unique. 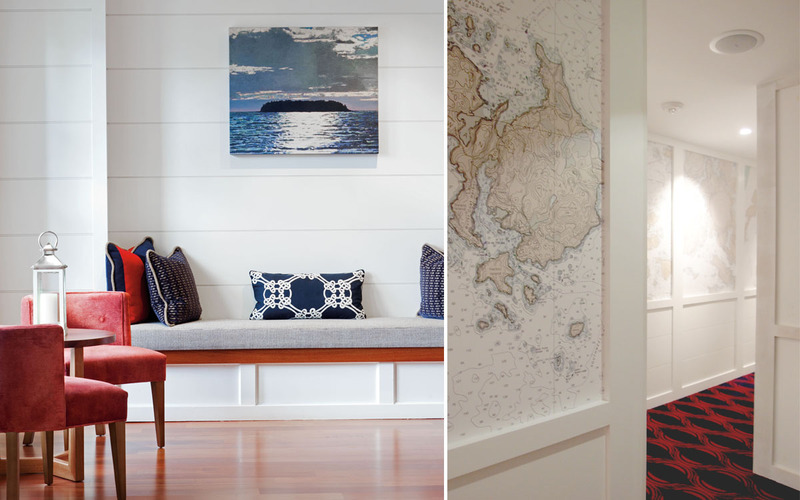 TruexCullins Interiors selected elements commonly found on historic luxury liners, such as the combination of oak and mahogany, painted wood paneling, and metalwork both functional and decorative. 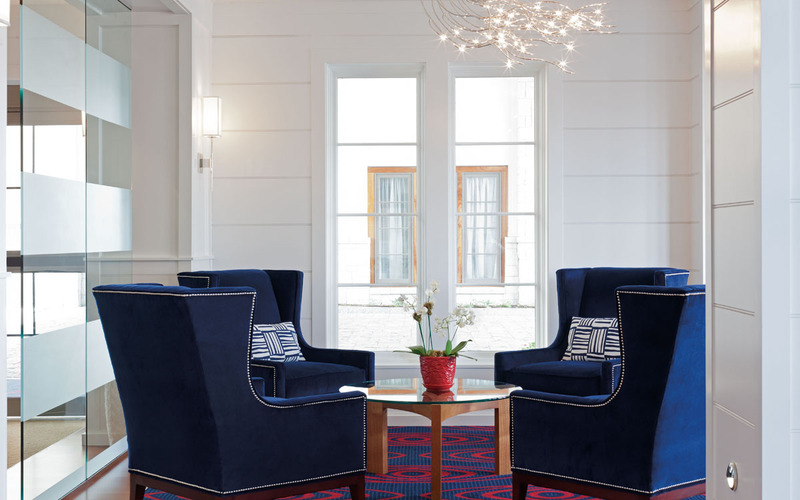 The hotel design has garnered much attention for it’s nod to the past with a present-day modern approach. 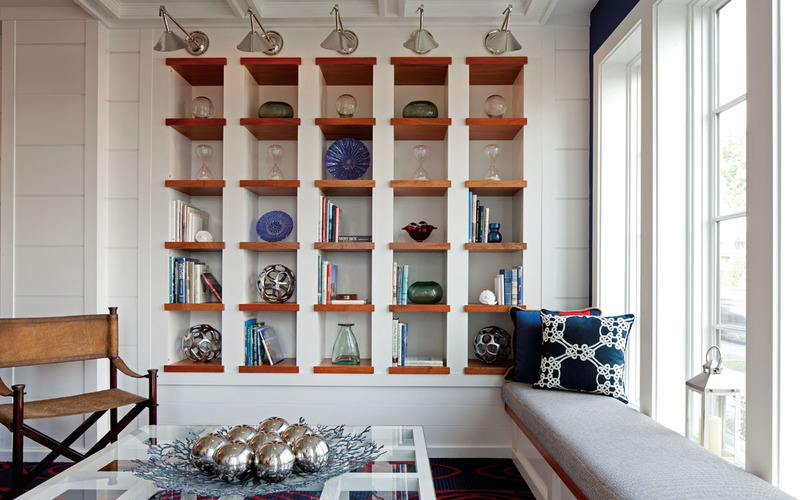 TruexCullins Interiors collaborated with Ocean Properties, Ltd., and design-build architects and construction managers Pro-Con, Inc. on this project.